If you're tired of toting around a wallet stuffed with pieces of plastic, a new generation of payment cards could be your ticket to a more streamlined financial life. "Universal" cards, with names like "Stratos," "Coin" and "Plastc," promise to condense all your cards — credit, loyalty, even gift cards — into just one. These high-tech devices allow you to scan as many as 25 different card numbers, using special card readers, onto just one piece of plastic. 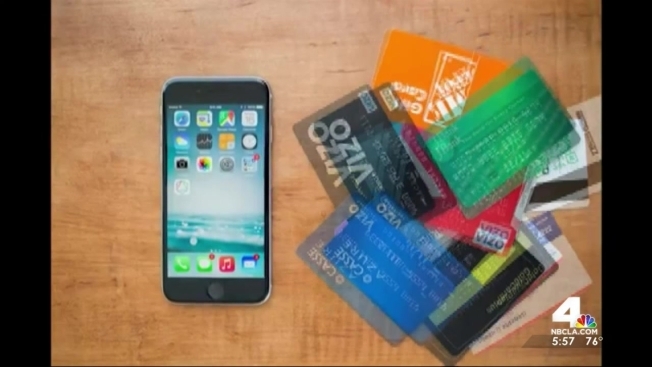 Users manage the card with a proprietary app that can be downloaded onto their smartphones. "It's a pretty cool device if you're an early adopter," said Kevin Yuann, a credit card expert at NerdWallet, a personal finance website based in San Francisco. "It looks cool ... sometimes it has LED lights on it." Stalked By a Cell Tower: "It's Been A Nightmare"
But early reviews of the all-in-one cards have been mixed. Some testers say businesses have been nervous about accepting cards they don't recognize, requiring users to explain the product during every transaction. And the cards aren't cheap, with annual subscriptions running in the $100 range. “The challenge with these things is what value proposition is it really giving the consumer, what value is it to you," Yuann said. "It isn’t making the transaction any faster. You still have to bring a card with you, take it out and swipe it. It’s not reducing the need to carry around a wallet." But at least it'll be a lighter wallet.